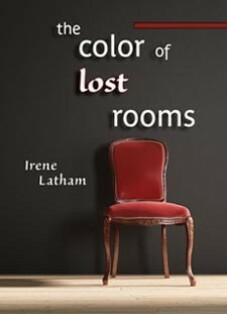 Irene Latham’s The Color of Lost Rooms is a museum of art, history, literature, and the long treasured artifacts of the human heart. To open the book is to take a museum tour, to stop and revel in all that is found there. To absorb the richness of the poem-paintings on display, it is necessary to linger awhile and take in the marvelous connections that link poem to painting, painting to poem in a chiastic interchange that reveals in various angles of light. By means of voice-threads, viewers are able to “hear” as well as see rare and exquisite compositions of art, the synthesization of painting and poem. It is possible to “listen in” by means of “voice threads” as “the maid asks” Frida Kahlo: “must you leave / New York so soon?” And then hear her reply: “it is / just the smell of last week’s uneaten fruit // that makes me long for La Casa Azul” (“My Dress Hangs There”). The Art Room is a commingling of voices so thrilling and poetic that the viewer seems to be able to step right into the poem-painting and live there. A whole morning may be spent just reflecting on the paintings’ lines, their colorful phrases, on the stories that each painting tells. Again, in “My Dress Hangs There,” the shades of pain unveil Frida Kahlo, brush in hand, as she catches glimpses of the self she will become. 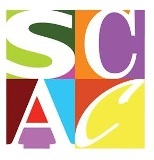 Sue Brannan Walker is the Poet Laureate of Alabama and the Stokes Distinguished Professor of Creative Writing at the University of South Alabama.